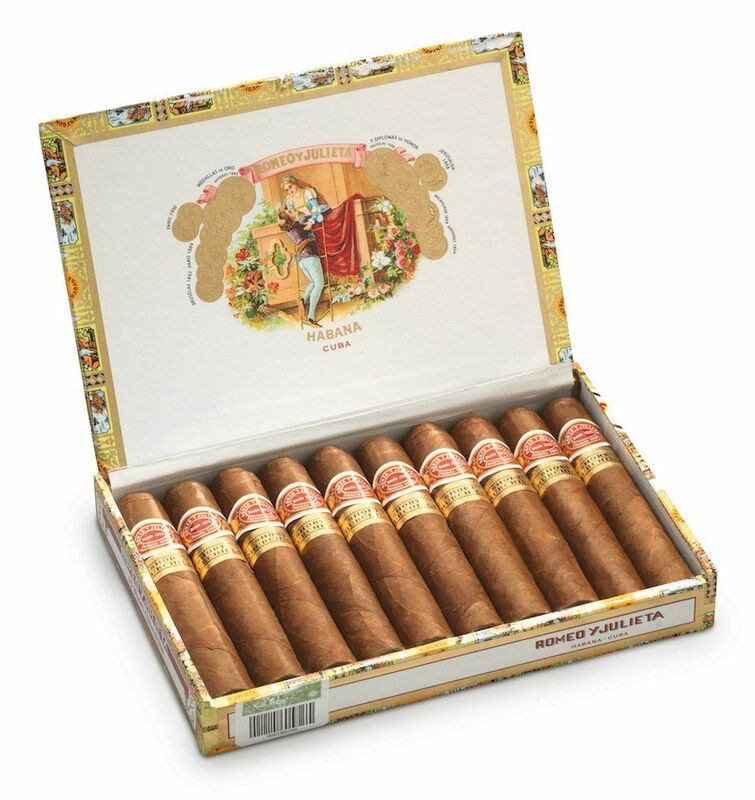 Box of 25 Cigars , 5 x 4.8 Robustos This Cuban cigar comes in at just under 5 inches in length (4.8” to be exact) with a ring gauge of 50. 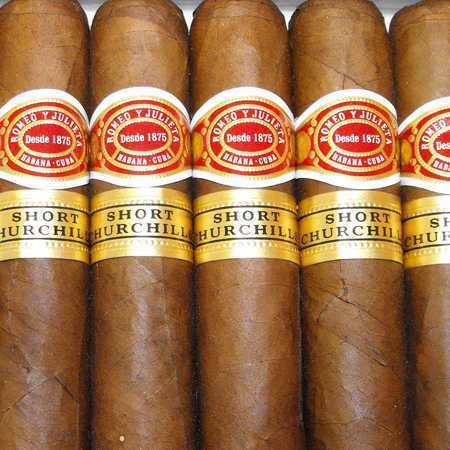 One of my preferred cigar sizes. This particular sample came from one of my 25 count boxes with a box code of April 2012. 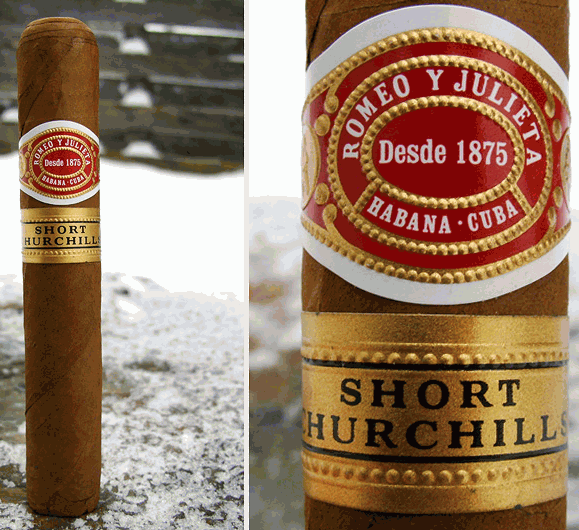 It is a fairly young cigar but I have found that these cigars do smoke well fairly young. 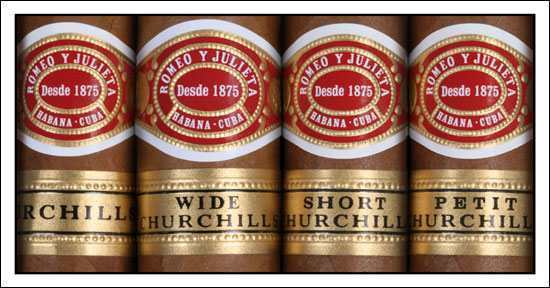 I have been smoking these cigars since 2007, a year after their official 2006 release. In the past I have picked up some single tubes of these but this box was brought back to me by a vacationing neighbour while travelling to Cuba. Flavor : The pre-light aroma was very woodsy with a very pleasant tobacco flavour. The unlit draw yielded some nice Cuban tobacco aroma typical of the Romeo & Julieta line. Hints of cedar, wood and spice. The lighting of the cigar yielded a woodsy tone with a touch of salt on the lips and palate. By the time the first 3rd was complete, the smoke was velvety and thick giving off a peppery display of woodsy earthiness that was satisfying to the palate. Hints of pepper remained throughout the entire first 3rd of the cigar but not too much spice to detract from the flavour. By the second third, the velvety smoke had given way to a nice thick white smoke. The cigar did not exhibit any more salty tones as it did in the first third but the cigar did settle into a medium bodied woodsy tasting cigar with hints of pepper and leather. The mild peppery finish was medium to long. At times, I picked up hints of earth and hay and a little bitter coffee flavour around the halfway point came into the picture however of note was that the bitterness didn’t last long but the mild undertone of coffee lingered until the final third. Construction : The wrapper stayed intact during the entire smoke. I had no issues with cutting the cigar and had no problems with the draw. The cigar held a beautiful ash that reached a full inch at times. The draw of the cigar was fantastic up until the final inch or so of the cigar, just under the area of where the RyJ band would be before I removed it. Perhaps a bit too much vegetable gum on the band as it did offer resistance in taking it off. The burn only wavered occasionally but this was minor and the cigar self-corrected itself. No need for any touch-ups. The only re-light needed was in the final inch. It did go out again after that re-light but by that time I had figured I had enjoyed this cigar enough and didn’t want to ruin my experience by re-lighting it so close to the nub.